The latest Star Wars: Choose Your Destiny book is out today, an interactive tale straight from the Prequel era starring everyone’s favourite master and padawan, Obi-Wan Kenobi and Anakin Skywalker. Thanks, as always, to our fantastic editor, Caitlin Kennedy, Lucasfilm Publishing’s Creative Director, Michael Siglain, and the Keeper of the Holocron himself, Leland Chee, for their support and guidance. 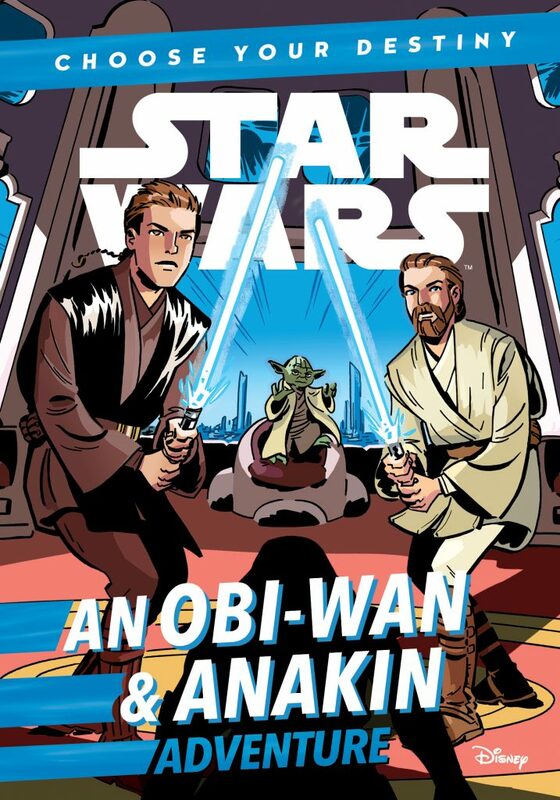 An Obi-Wan & Anakin Adventure is available right now from all good stores, including Amazon UK and Amazon US, Barnes and Noble, Powell’s, Books A Million and IndieBound.